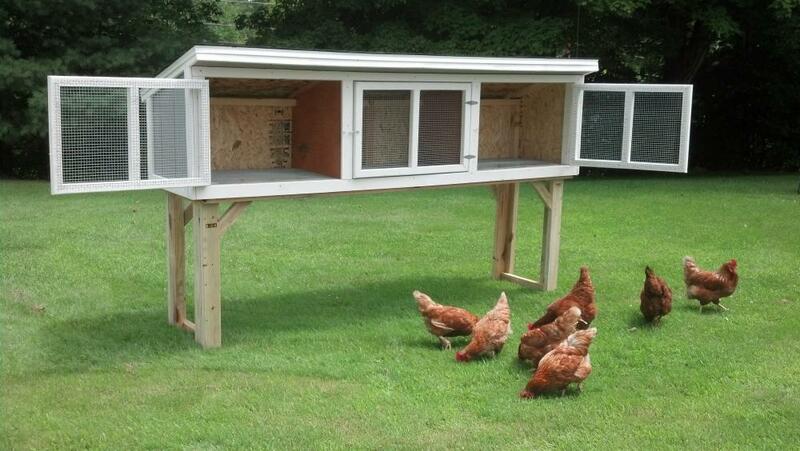 Our chicken coops are built to last, and built for New England weather, unlike some that you see in the box stores. 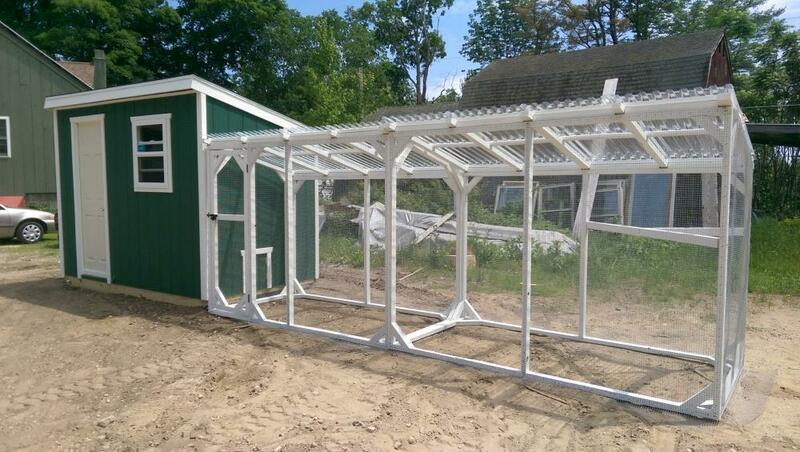 Every coop and hand built on site, and can be customized to your needs. During our cold winters, chickens continue producing eggs, as our coops are wired for electricity which enables you to have a heat lamp and a water bowl heater. All doors have galvanized bolt locks so when closed up for the night they are predator proof. 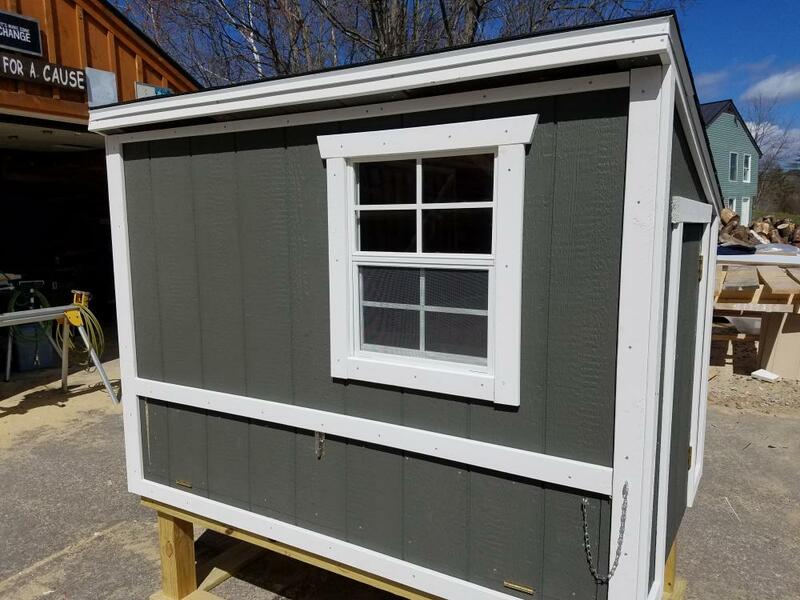 Our classic coop model comes in T-111 siding primed and stained to the color of your choice. These coops are very functional, the nesting boxes are easily accessible with a drop down door in the front, they are also removable to make for easy cleaning. The side clean-out door is two feet wide making it easy to clean out as often as you'd like. Coops sit two feet off the ground so during deep snow season you can still collect your eggs, add food and water and clean. Coop overall height is 6'5" tall. We build customs all the time, just call with your ideas. 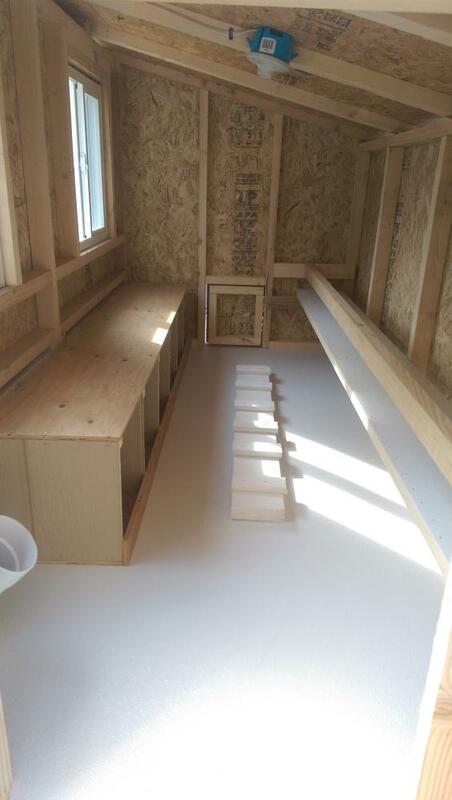 Window and door placement can also be moved on any coop to fit your need for your location. Jason and his team are great. Love my new chicken coop/run and can't wait to now find chickens to come live in it. Great quality and construction. Best around. Jason could not be more helpful and accommodating. Thanks a ton Jason! Best coop on the east coast!